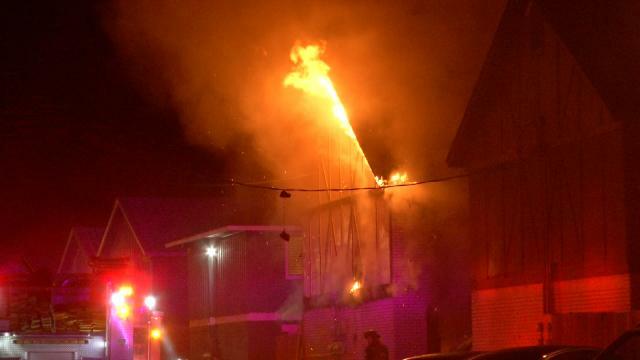 TULSA, Oklahoma – Tulsa firefighters rescued five people and a dog from an apartment fire overnight Saturday. 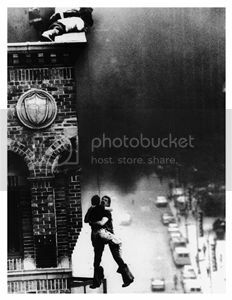 It happened at the St. Thomas Square II Apartments, 1114 East 64th Place. Fire Captain Stan May said firefighters found four adults, a child and the dog trapped on the balcony of the burning apartment when they were called out around midnight. Crews used a ladder truck to bring the victims down one by one. They were taken to the hospital to be checked out for smoke inhalation but are expected to be OK. The fire was mostly contained to the one apartment though others suffered smoke and water damage. May said they had a little trouble accessing the fire because the buildings are so close together in the complex. He also reminded Tulsans that we spring forward this weekend – and that’s a good time to replace batteries in your smoke detector.